Can company see that I'm using their internet? 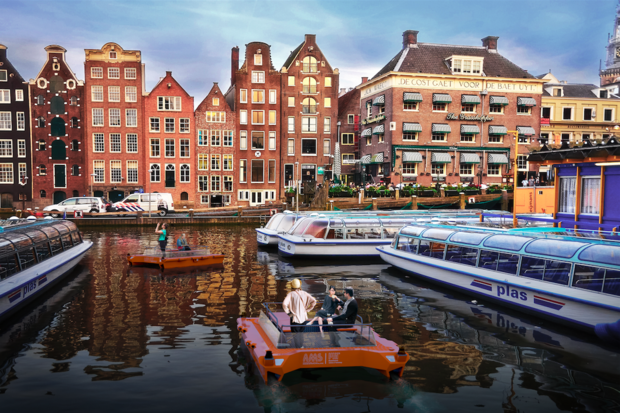 Prototypes of "Roboats", self-driving vessels that will offer rides to commuters in Amsterdam's canals beginning next year. MIT is collaborating with two Dutch universities to create a small fleet of self-driving boats that will first be tested in Amsterdam to ferry commuters and goods about the city. The $27 million, five-year project named Roboat is expected to launch its first watercraft in the canals of the Dutch capital next year. The researchers are also working to create other "dynamic" craft and temporary floating infrastructure such as on-demand bridges and stages that can be assembled or disassembled in a matter of hours. Roboat is a collaborative project between MIT and researchers from Delft University of Technology and Wageningen University in Holland. 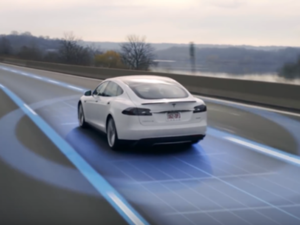 "Roboat offers enormous possibilities," Arjan van Timmeren, science director at the Amsterdam Institute for Advanced Metropolitan Solutions, said in a statement. "We'll also be exploring environmental sensing. We could for instance do further research on underwater robots that can detect diseases at an early stage or use Roboats to rid the canals from floating waste and find a more efficient way to handle the 12,000 bicycles that end up in the city's canals each year." 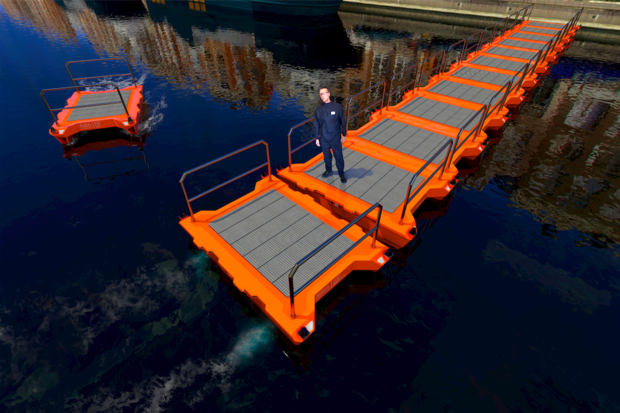 Self-driving "Roboats" could be used to form temporary floating infrastructure such as on-demand bridges and stages. While the university Roboat project is focused on watercraft for canals, private companies have been developing self-driving boats for a variety of other purposes for years. 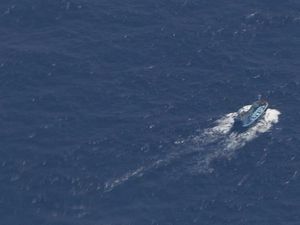 For example, Sea Machines in Boston builds autonomous control and navigation systems for the commercial marine industry. 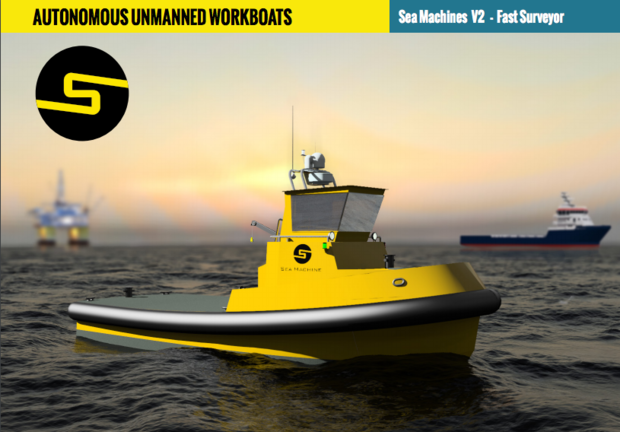 The company is on its third version of a heavy-duty autonomous workboat for offshore and nearshore operations. The Sea Machines V2 has robust enough stability for open ocean-floor surveying or to deploy geographically-sensitive acoustic positioning systems. The vessel has a propulsion system that can do 20 knots and pull three tons of cargo. Sea Machine's V2 autonomous boat has enough stability for open ocean-floor surveying or to deploy geographically-sensitive acoustic positioning systems. The vessel has a propulsion system that can do 20 knots and pull three tons of cargo. With a pilot house and helm, the V2 can be controlled autonomously as a robot or manually driven as a conventional boat. Saildrone, in Alameda, Calif., is building miniature sailboats that traverse the bay and shores to monitor fish stocks or gather environmental data, according to the MIT Review. This year, Rolls-Royce announced its vision for autonomous container ships that would traverse oceans sans crew. 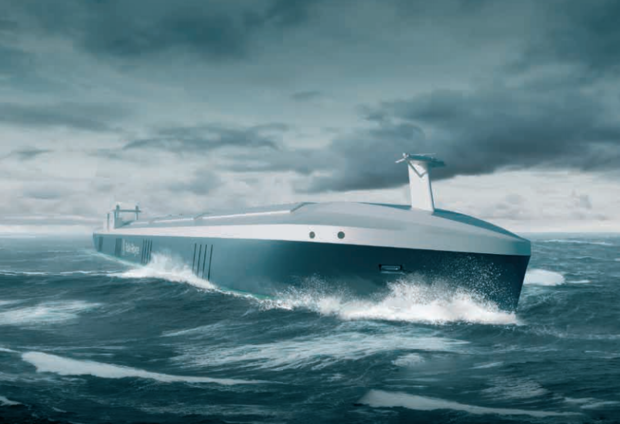 "Autonomous shipping is the future of the maritime industry," said Mikael Makinen, president of Rolls-Royce's marine division. "As disruptive as the smartphone, the smart ship will revolutionize the landscape of ship design and operation." 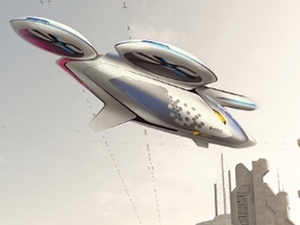 An artist's rendering of a Rolls-Royce-built autonomous cargo ship. The technologies required for autonomous shipping, such as sensors and GPS, already exist and aren't the challenge for the industry, according to Rolls-Royce. 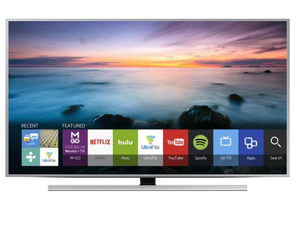 The challenge is to find the optimum way to combine them reliably and cost effectively. "To secure regulatory approval, as well as industry support and public acceptance, remote and autonomous ships will need to be at least as safe as existing vessels," the company said in a study. "They have the potential to reduce human-based errors but at the same time new types of risks will arise and will need to be addressed." This story, "Autonomous boats -- yes, boats -- to hit the water in 2017" was originally published by Computerworld. Are You A Strategic Thinker? Test Your Skills With Millions Of Addicted Players! Have a new iPhone 7 or iPhone 7 Plus? Here's a first look at protective cases. SanDisk demos a 1TB SDXC card with twice the capacity of the previous model. Copyright В© 2016 IDG Enterprise. All rights reserved.